Superstar Rajinikanth on Wednesday yet again refused to clear doubts whether he was taking a plunge into politics. 'What I want to say I have already conveyed two days ago. I have nothing more to say for the present,' Rajinikanth told reporters when asked if he has decided to join politics. He was reacting to media questions during the photo sessions with his fans. After meeting his fans on MOnday, the actor said that if he enters politics, he will be truthful and will not entertain people who want to make money. 'God decides what we have to do in life. Right now, he wants me to be an actor and I'm fulfilling my responsibility. If God willing, I will enter politics tomorrow. If I enter, I will be very truthful and will not entertain people who are in this to make money. 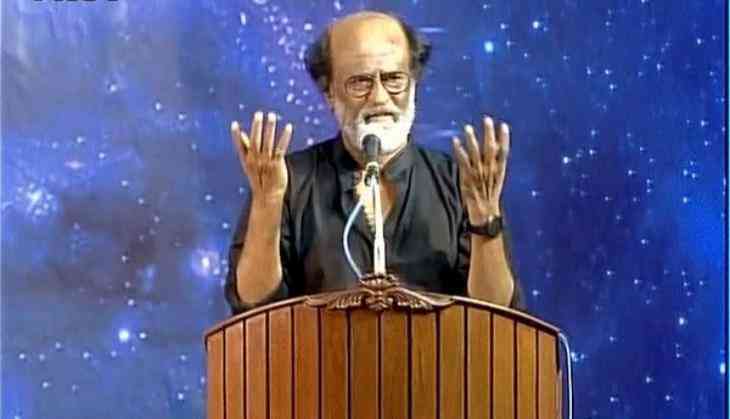 I won't work with such people,' Rajinikanth told his fans, who had gathered at Raghavendra Mandapam here.